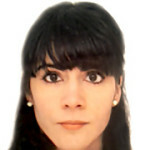 Mariana Losada currently serves as International Affairs Manager for Southeast Asia, Sciences Po. Over past decade, she has held management roles in the field of Higher Education in institutions such as UNESCO, UNICEF, Sciences Po, Amue and AEF. Her experience in the public and private sector has spanned across areas such as internationalization strategies of universities, how technology changes education and strengthening synergies between universities and business. Born and raised in Argentina, she has been studying and working abroad half of her life. Mariana holds a PhD in Political Science from Sciences Po where she specialized in the internationalization of Higher Education. During her doctoral studies, she was a Visiting Fellow at the University of Oxford and University of Chicago.